Today my post is about politics, but not political. It is based entirely on my personal experience. It does not represent cynicism or negativity, it is realism. This post is about the real world, like it or not. For 13 years starting in 1951 Fletcher Knebel penned the nationally syndicated column Potomac Fever. His columns were satirical in nature but always carried that grain of truth that made the reader think. I don’t pretend to have Knebel’s talent or sense of humor but his column title, Potomac Fever, is a perfect way to explain what happens to people who have been bitten by the political bug. If there was a medical definition for Potomac Fever, it would be; “The never-ending quest for power,” and Washington D.C. is its breeding ground. Unfortunately, and despite its well-known highly contagious nature, reasonable and highly intelligent people still travel there still contract it and still pass it on. Strangely, most people who are infected enjoy it, but not for long, at least not in the sense that you and I know enjoyment. In Washington, the enjoyment is always balanced by fear, the fear of losing whatever you have gained, the fear of not attaining the goal that drives you and the fear that someone else will upstage you. Washington’s great motivators are fear and power. For some Americans who have never been to the nation’s capital and likely never will go there, it is the place that takes your money and spends it recklessly on weapons systems that don’t work and on people who won’t. It represents, to many, the seat of what is wrong with the country, but even these people gain no immunity. They travel there to reform it and rarely leave with their integrity intact. The district is kind of like a gambling establishment — in the end, the house always wins. Anyone who has been bitten by the political bug knows all too well that the fever is a narcotic so strong that no matter how many times it leaves you bloodied and battered you will get up to seek its favor again and again. It is so powerful that even while in the midst of failure and disgrace, victims still have hallucinations of grandeur. The most virulent of all diseases, “Potomac Fever” will steal your mind, your body and your conscience and…if you are not careful it will take your soul. To the afflicted, the city represents the power to change the world but most often it changes the changers. Even highly principled people possessed of steel-like discipline soon succumb to the political siren song and willingly part with their moral and ethical compasses. Potomac Fever is the engine that drives the city on an inexhaustible, instantly renewable fuel source — it’s never ending inward flow of people. They seek but a little warmth from the fire, but are soon consumed by it. It is in this atmosphere, this volatile, narcotic and magnetic environment that the struggle for power turns friend against friend and unites those who oppose you. It is all a struggle for power, pure, raw power. Yes, there is money to be made, too, but gaining an influential position in Washington D.C. is not about money — it is about power. If you have it, the money will follow. Everything that is done or said there is about getting power and/or keeping it. That is the bottom line and it best describes Potomac Fever. Both Christ and Hitler had power, one was killed because he had it, the other committed suicide because he was losing it. There are lots of “districts” in the world, but this one is about ours, the one on the Potomac River on the nation’s east coast. Much of what is done and said there affects every other district in the world. The battle of wits and the games played inside the city and inside the halls of congress and the back rooms of bars and restaurants and in the halls and aisles is the real rough and tumble politics of America. Campaign politics pale in comparison. Because it is in those places that careers are bought and integrity is sold all for the sake of power. The founding fathers could never have imagined such activities nor could they have conceived of an environment in which multinational pharmaceutical companies, worldwide oil conglomerates and Wal-Mart would all be throwing money at a congressman from Wisconsin and a Senator from Kentucky. That, folks, is just a taste of Washington D.C. and it is played out on a smaller scale in state legislatures and smaller yet in county commissions and city councils. In all of this confusion and tension we the people, you and me, the ones who pay the taxes are left out. We get lip service while special interests get the prizes. Once in a while, the power brokers will throw us a bone so we will fight over it and while we are snarling and growling at each other they are getting tax reductions and obscene profits. Regardless of your party affiliation, these money mongers are using you and me. They love to see us fighting with each other because it takes the spotlight off of them. My Republican friend down the street is not my enemy and I am not his. We both should be focused on who really benefits from our elections. Once we figure that out, we’ll have a much better America. Posted in Government and business.Tagged ethics, government, Money, politics, Potomac, Potomac fever, power, the district. Previous Post Run Government Like a Business? Not Likely! 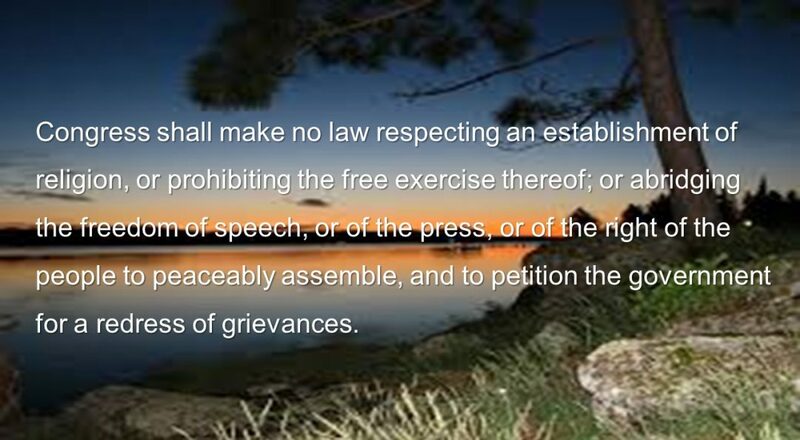 Next Post The First Amendment Defense Act — Not!